That will be his choice, but I don't think he is going to. He is building a 4GO car though . 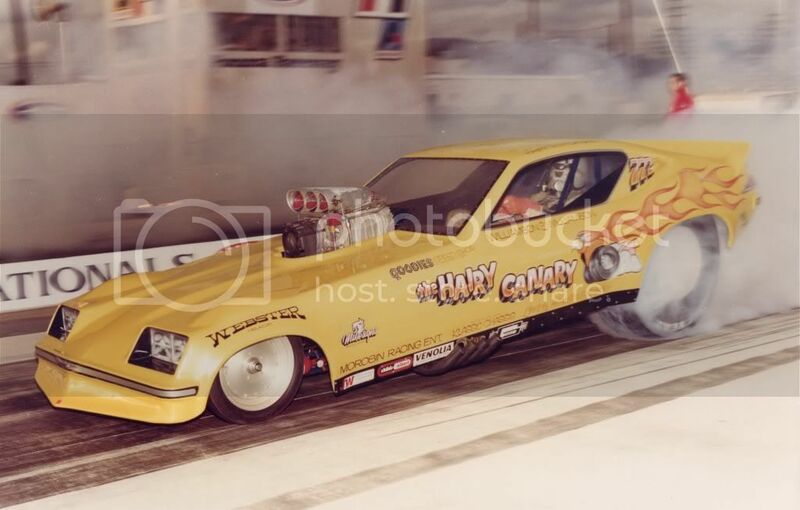 Glad to hear he is building a 4GO..
Jeff Please put me down for two Gassers and a Kiwi Challenge car. If I have the time I might add a stock T jet later. 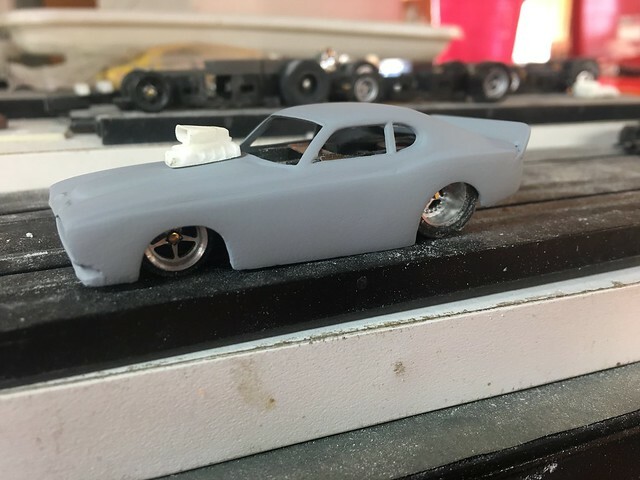 I started a Capri FC body awhile back and was going to run it at KiwiDave's Race and hopefully will in the future. I think The Capri was one of the more popular FC body's in Kiwi Land ? When you announced The Kiwi Challenge I thought perfect. 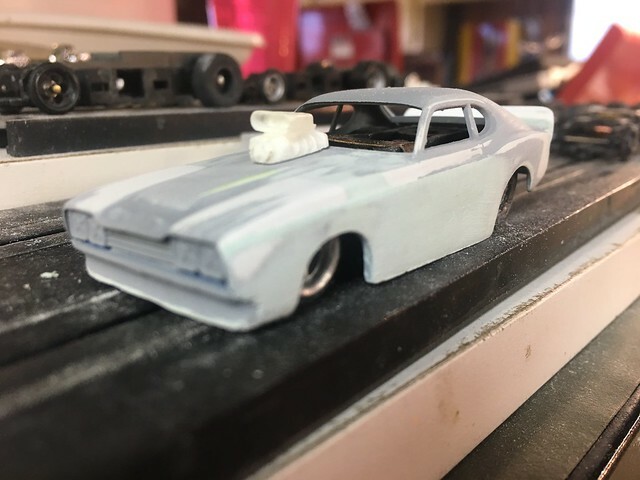 I have it roughed out and hopefully I will have it done by Race Day ? Hi please put me in for an entry in the 4GO as well as the Tjet stock. The car should be ready but as it is a new build time will tell how it will run. Please put me down for 1 in each class,i would also like 1 for the Kiwi challenge please. Rick you are in at #6 and #7 Tjet Gasser and on the KC list. Welcome to the race. Mazda you are in at #4 Tjet Stock and in the 4GO Shark Pool. Welcome to the race. Gnome you are in at #6 Tjet Stock and #8 Tjet Gasser. Also on the KC list. Welcome to the race. 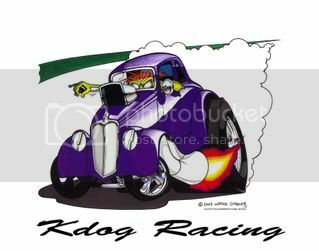 The Capri looks sweet as a drag Car sadly the dog had the misfortune to own a 1 to 1 Capri back in the day not a good result. Please sign me up for one car in each class and one Kiwi Challenge car. Bill you are in at #7 Tjet Stock and #9 Tjet Gasser. Also on the KC list. Welcome to the race. After going thru what tjet parts I have, wound up real light on idler gears. Soo-o-o-o, will replacement idler gears be legal as long as they are not CNC'd or machined in similar fashion? I know Wizzard offers them and I saw some on ebay that are brass & some thunderjet plastic ones. I need to get some and don't want to get any that aren't allowed . Yes.......like stock replacement gears are legal. Rules actually state that there are "no restrictions" on gears, but the idler gears need to be stock replacement for both classes. This is where our current rules need to be fined tuned a little. Especially the Stock Class. I have received a potential number of NZ entrants for the Challenge from Kiwidave. That number stands at 7....give or take a car. Mazda has expressed his desire to help out and is also sending a car from the UK for the Challenge that will run on the Kiwi team. This is already shaping up to be yet another epic battle! We will see how that works out. There will be bragging rights. Best two out of three for each match up is how it will go down!